RVCA is certainly on the cutting edge of MMA gear design. 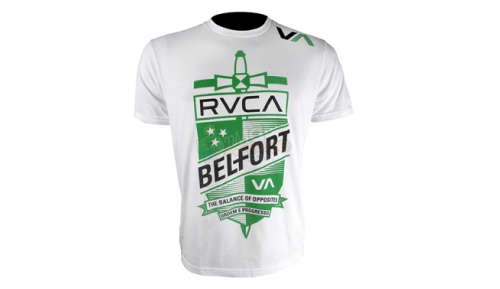 They have come out with a new Vitor Belfort T-shirt that has a “retro” type of style, which we think looks great. 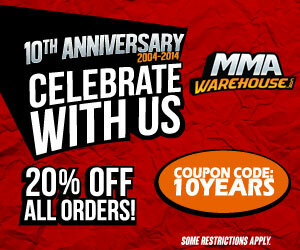 It’s fresh, sporty and really defines a whole different level of MMA t shirts. The graphic on the shirt has a shield and sword, there is a banner on the bottom that says “balance of opposites” … perhaps signifying a balance between your offense (sword) and defense (shield)? That’s an important philosophy of Mixed Martial Arts, to have a good balance of skills and techniques. We hope RVCA develops more shirts like these.